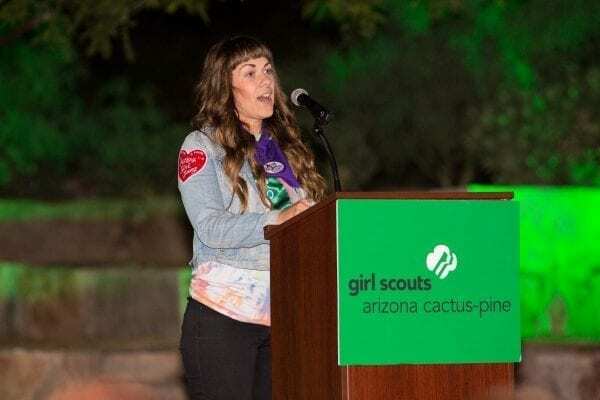 As You Wish received the Girl Scout Promise Award at the Arizona Pine Cactus Council’s 2nd annual Badge Bash at the Parson’s Leadership Center for Girls and Women at Camp South Mountain on November 2, 2018. 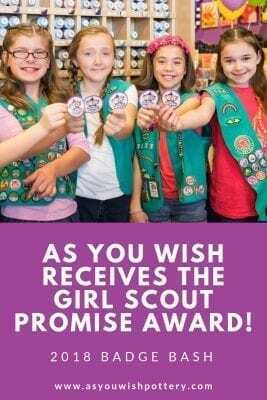 The Promise Award was created to honor organizations who have demonstrated the values of the Girl Scout Promise and Law, and a strong commitment to the community through their actions. Our Marketing Director, Liz Geoghan, accepted the award on behalf of As You Wish. 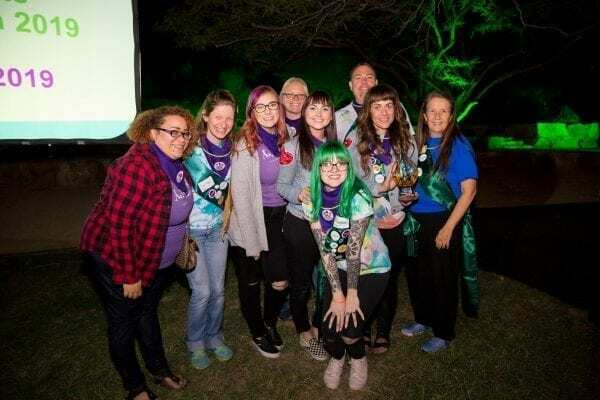 As You Wish has supported the Girl Scouts for many years and currently offers a number of badge earning opportunities as well as providing a creative meeting space for troops. 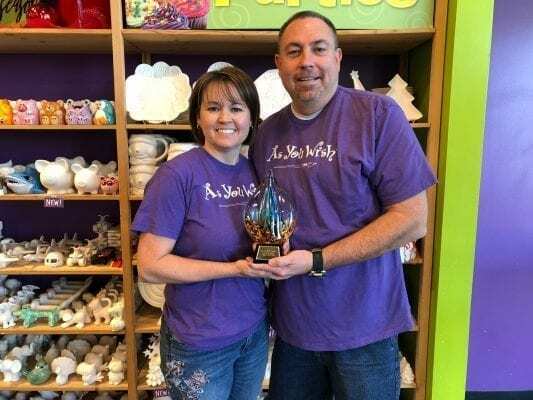 Over the past 23 years As You Wish has participated and partnered with many different community and charitable organizations to raise funds to help promote growth, development, and the changes that are necessary for the betterment of our community. 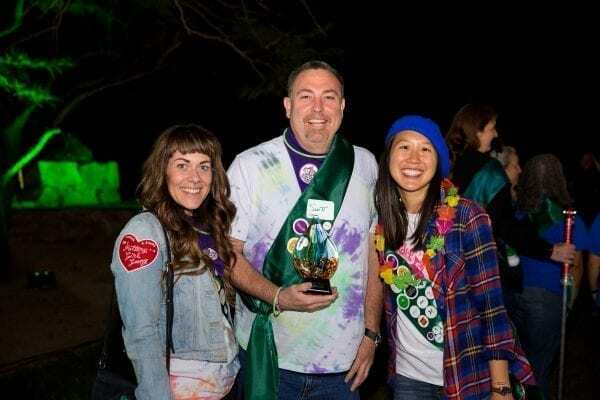 We believe strongly in the Girl Scout Law and do our best to uphold it’s values as a company and as individuals. Our owner, Lori Neff, was a Girl Scout leader herself for 6 years. She loves teaching our Business Owner Badge and draws a parallel between business life and the Girl Scout Law. We firmly believe that if everyone would strive to apply this law to their lives, our community would be a much better place. Thank you to the Girl Scouts for helping us teach and raise the next generation of leaders with strong values! 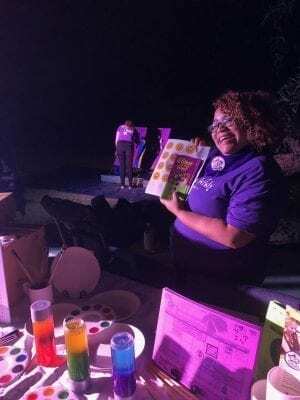 The Badge Bash is a FUNdraising event where our team got to experience an evening through the eyes of a Girl Scout and test our skills to earn fun badges and patches. 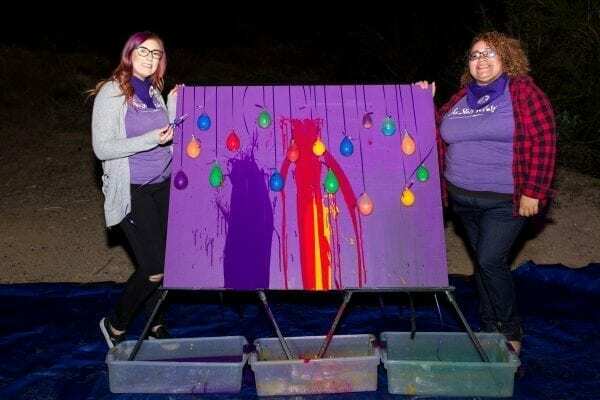 In addition to receiving the Promise Award we also sponsored an activity booth where attendees wrote why they support Girl Scouts on a chalkboard along with throwing darts at a board with paint filled balloons to earn a badge from As You Wish! 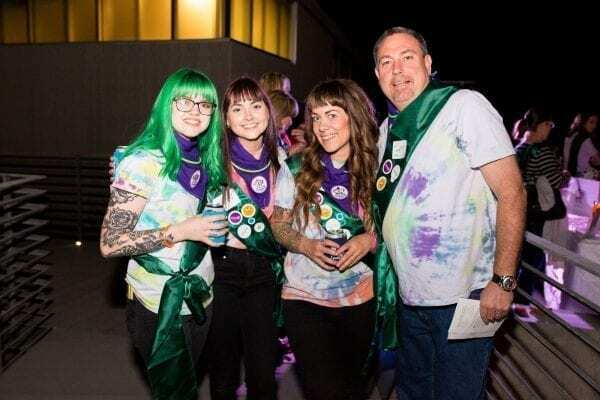 Our team came decked out in tie dye shirts we all made together, complete with a purple bandana and an As You Wish Fun Patch (the same one Girl Scouts get when they participate in a badge earning activity)! We had so much fun exploring the camp, participating in all the fun activities, meeting amazing people, and celebrating the power of girls. It was a blast! We are so grateful for our relationship with Girl Scouts and look forward to serving girls and women for many years to come!